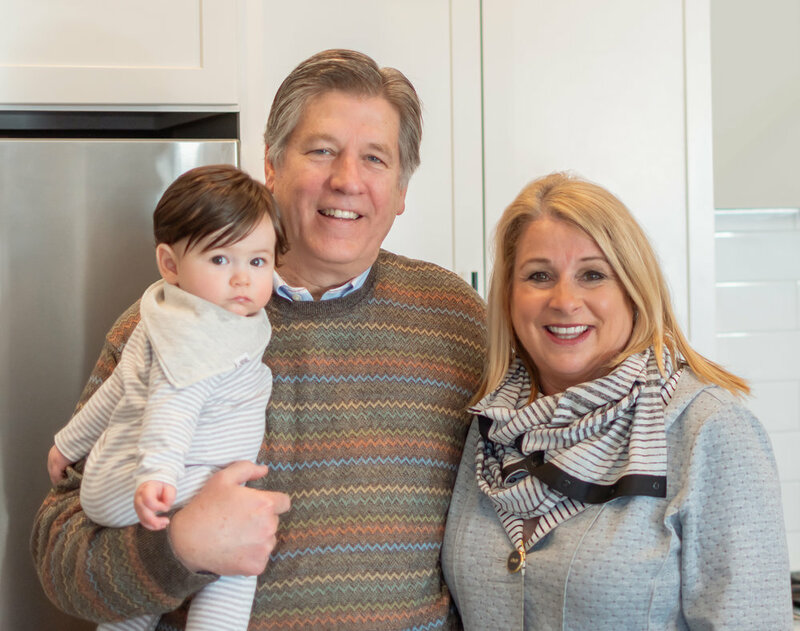 New Carmel residents, the Gurneys, share what life on the Monon in their new custom home is like. Bill and Janell with their grandson Charlie. 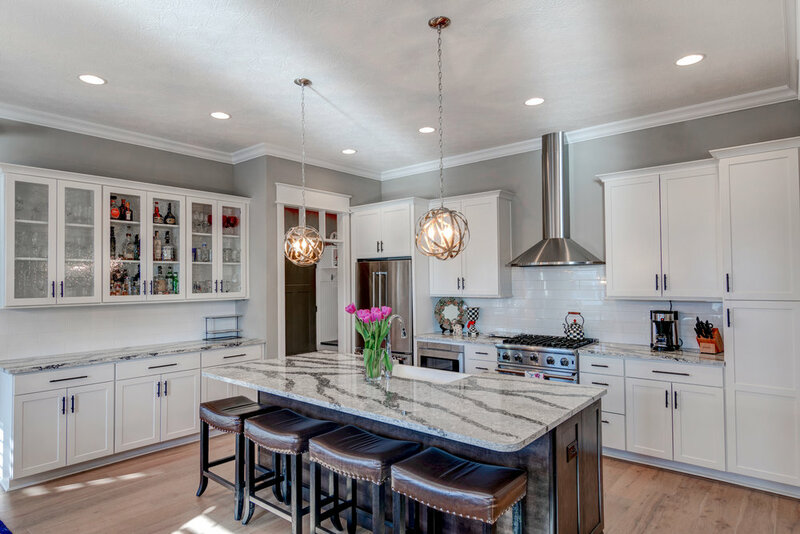 How did you first hear about Old Town Design Group? Janell: We had just sold our home in Washington Township where we had lived for 26 years and we had just moved into a rental home off of 4th street, in the Arts & Design district. We have a golden retriever, Manny, who we’d walk in our neighborhood and we noticed these beautiful Craftsman homes built by Old Town all around us. Janell: But we didn’t give up on it. It was soon after that, that Sunrise on the Monon opened. What’s so nice for us is that this is in the middle of where we came from, the Nora community, and Downtown Carmel. It was just perfect. We love everything about it. Janell: It felt like home the minute we walked in. We loved it. To this day, I come home from work and still feel like the first day we walked into our new home. Bill: I’ve always been a basement guy, so Im really glad that we have a finished basement with extra bedrooms. We have space for when family comes to visit. It’s so livable. At our age, we plan to be here well past retirement. We can live easily just on the main level. Janell: Our kitchen. The openness with the high ceilings. It’s a great house to entertain in. 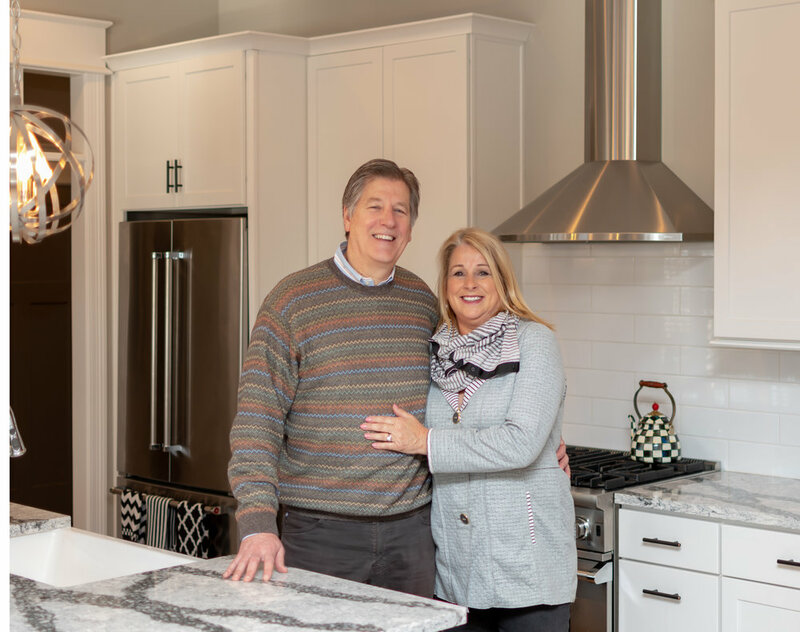 Bill: We had actually started looking in the Broad Ripple area, but if you’re wanting to find open concept floor plans [there], you’re going to have to spend a lot of time gutting an existing home. Janell: The neighborhood – the community. Everyone came here for a common reason, to build a new home. We had no interest in going to an existing neighborhood. Our neighbors are like new friends. Bill: The neighbors are great. We have a commonality with them. They’re all different ages, it’s a wonderful community. What was the building process like? Janell: We’d never built a home before, it was all new to us. It was a wonderful experience. In fact, soon after we built this house someone asked us, “Would you do it all over again?” and we would. We would build all over again, with Old Town. It was a great experience that we enjoyed doing together. We had the opportunity early on to work very closely with Zach. Old Town’s craftsmanship and finishes are like no other. Janell: We had always used the Monon in our last home, we’d run, bike and walk the dogs. But to think that Sunrise had this direct access, to us, that’s what sets this community apart. Bill: From my perspective, there is very little space in Carmel that has direct access to the Monon like this. 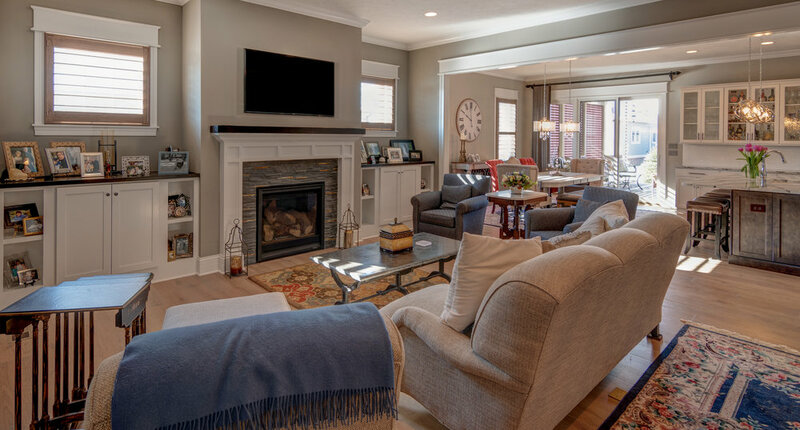 The Gurney family found the home design and location that was right for them. 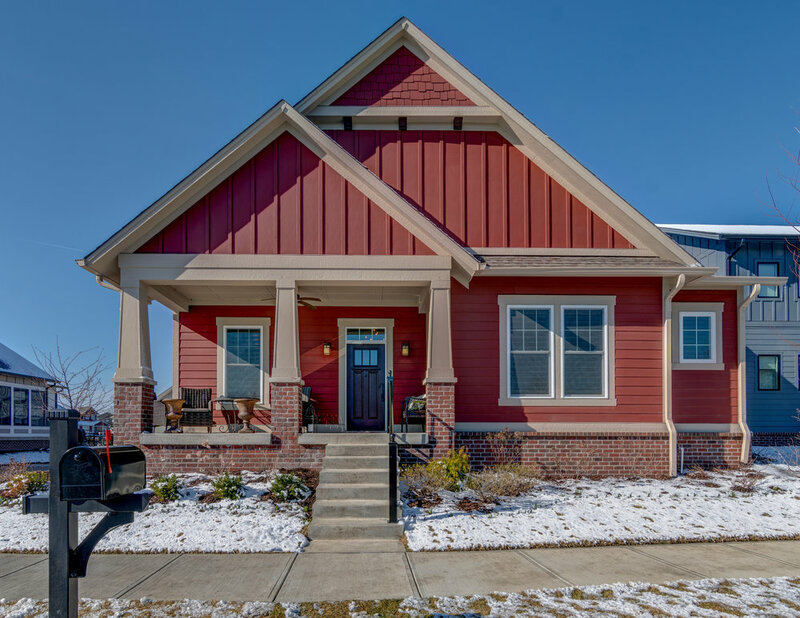 Make the move and write your own building story with Old Town Design Group at our newest Monon community, Sunrise on the Monon, in the heart of Carmel.